Who are Extraordinary Bodies Young Artists? Extraordinary Bodies Young Artists (EBYA) is a performance training company for 16-30 year olds based at The Lighthouse in Poole. We meet weekly, training in theatre, dance, aerial circus and music. EBYA is all about different people from different backgrounds coming together to create and devise their own work and make shows. 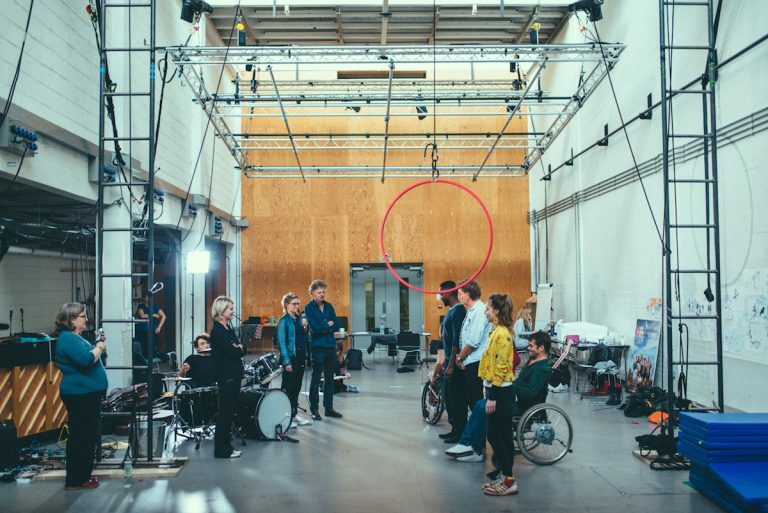 There are performance opportunities, as well as coaching, mentoring and training with professional artists from the UK and around the world. 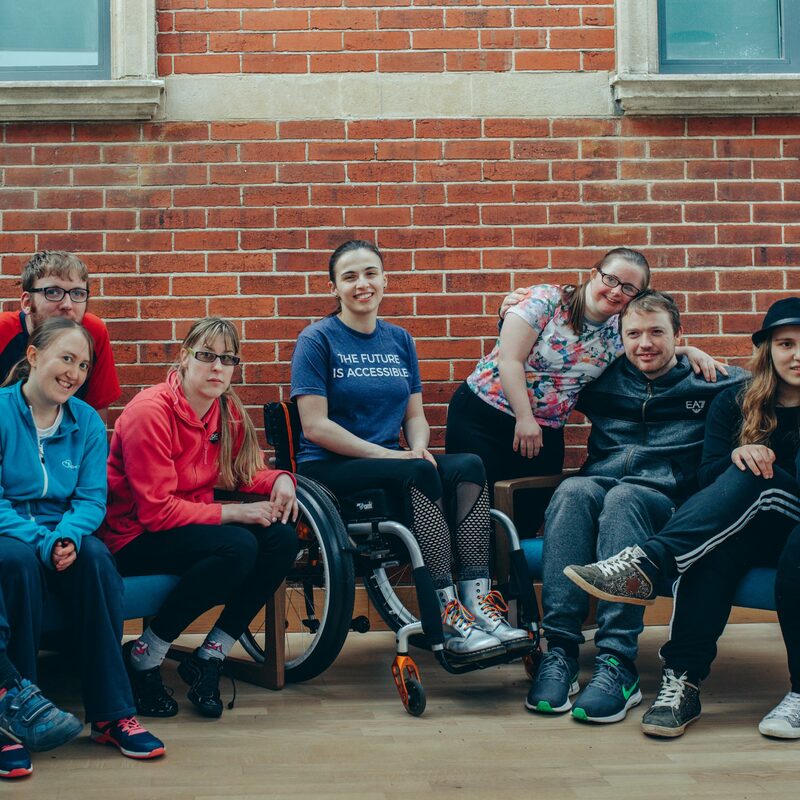 We are an ambitious group and we create adventurous work that challenges the barriers many young people face. This year we will be working with The Point, Eastleigh, Poole Museum and Arts University Bournemouth. 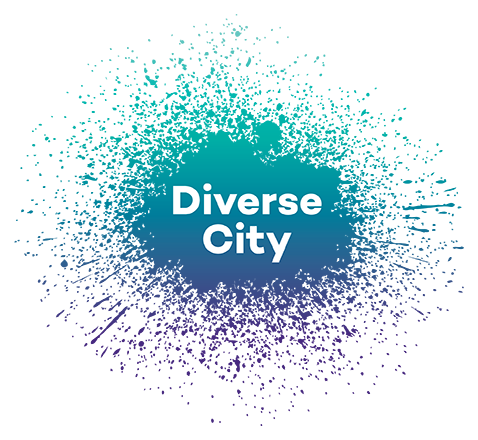 EBYA will be accompanying Diverse City to deliver inclusive practice training as part of a new partnership with Ramps on the Moon and 7 other venues across the UK. 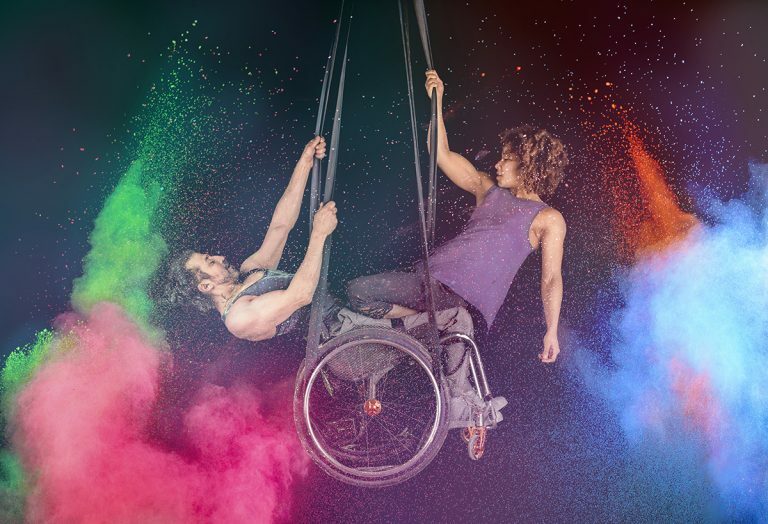 In August we will also join Extraordinary Bodies circus company in London, to perform at The National Theatre, as part of the What Am I Worth? tour. EBYA are excited to also be attending and performing at For / With / By: Festival of European Youth Theatre at Birmingham Repertory Theatre. We will be joining 150 young people from 4 different countries for a week of exchange, performances and collaboration, and performing our show Becoming. We have recently registered as an Arts Award Centre and 5 EBYA members will be working towards their first Arts Awards this year. Visit our Training page to find out more about Arts Award. 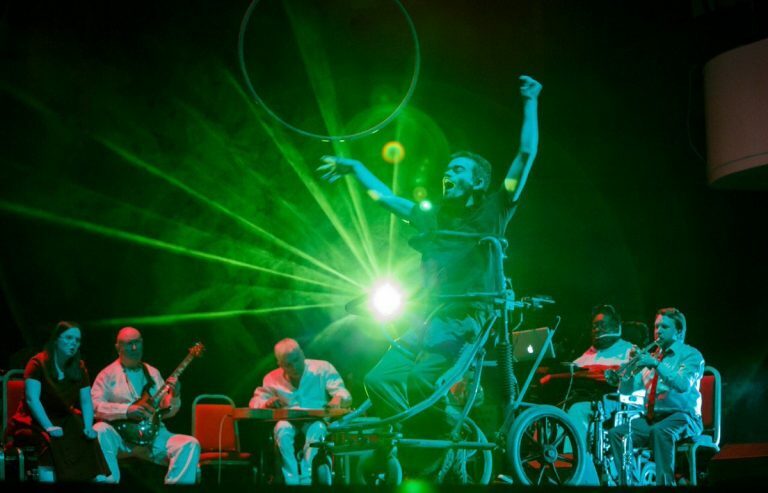 EBYA has previously performed at Unlimited Festival in London, Inside Out Festival in Dorset, Funky Llama Festival in Plymouth, Roundabout Festival in Poole, as well as Doing Things Differently and Circus City in Bristol. 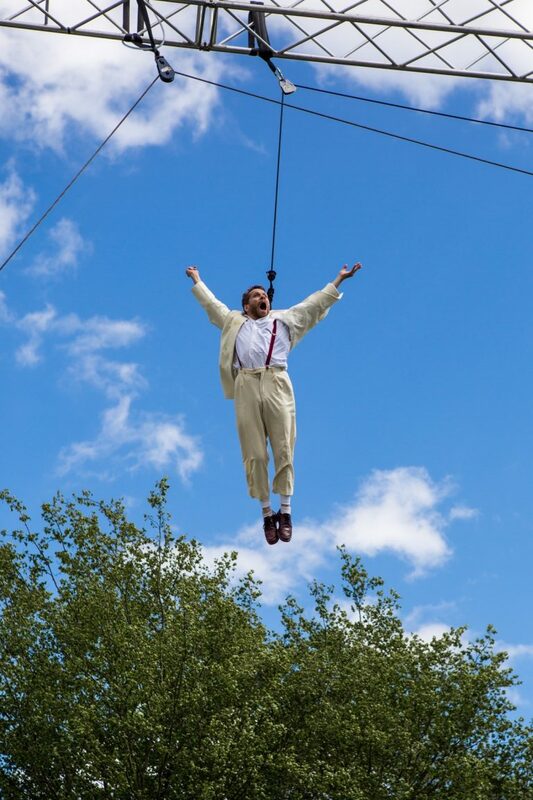 EBYA has also participated and performed at residencies at Lighthouse Poole, Theatre Royal Plymouth and the National Centre for Circus Arts. The company have also travelled for international projects in Bosnia, Italy and Portugal with The Complete Freedom of Truth. In 2017 EBYA raised over £5,000 through a Crowdfunder campaign to take their show Becoming on tour. 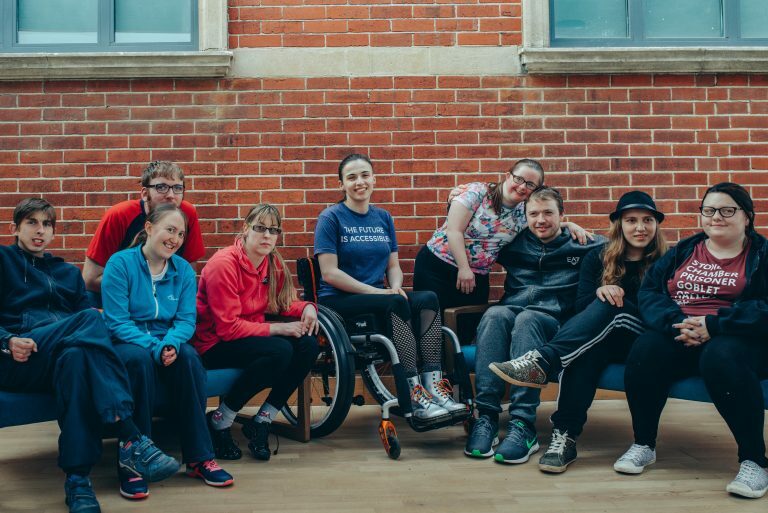 One EBYA member has been offered an unconditional offer at one of the UK’s top Circus Schools and another alumni was awarded Arts Council England funding to develop his own project.